By default, drop-down menus do not allow values outside the reference value file (RVF). 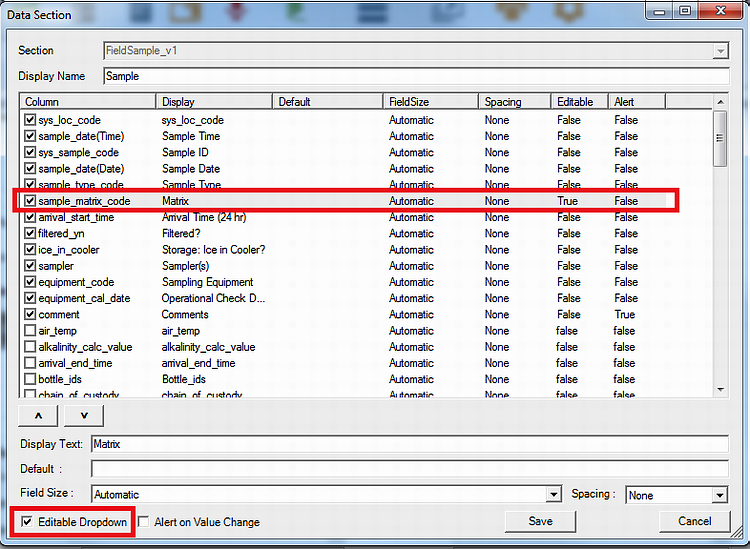 This functionality allows EDGE users to add new values not found in the RVF. To implement this option, follow the steps below. 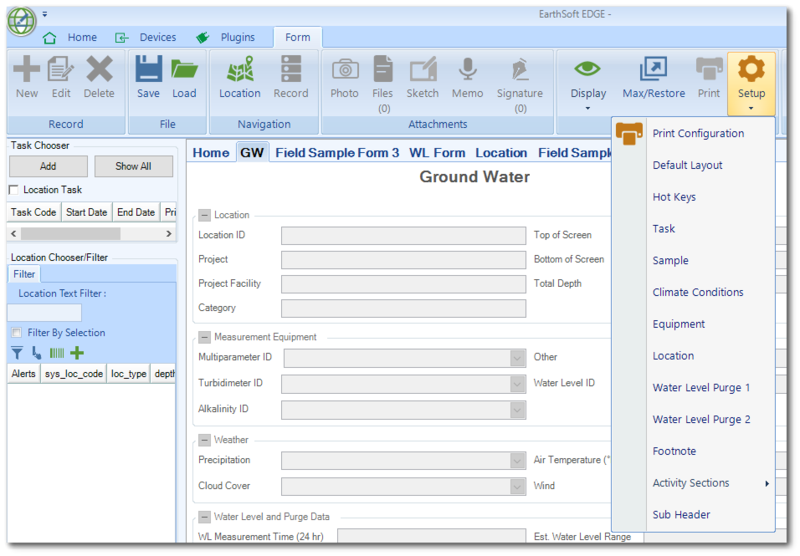 1.On the Form tab, click Setup in the View group and select the desired section to edit the drop-down menus. 2.In the Data Section window, select the desired column/field and then check the Editable Dropdown option located on the bottom-left of the window. Click Save. In this example, the field Matrix is now modified.